All the players, who were invited by Rohr for their must-win game against Libya on Saturday, were mandated to arrive camp latest Monday but only four of them could beat the deadline. According to the team’s official website thenff.com, the delay was caused as result of their imperfect traveling arrangement. Daniel Akpeyi, Semi Ajayi, Ikechukwu Ezenwa and William Troost-Ekong were the only players who arrived camp on Sunday. However, after the unwanted traveling itches, almost all the 24 invited players are reportedly in camp— as at the time of this report— preparing for the game. Kelechi Iheanacho, who missed his flight on Sunday, Ola Aina, Alex Iwobi, Simon Moses, John Ogu, Wilfred Ndidi, Henry Onyekuru, Samuel Kalu and Leon Balogun have all linked up with the rest of the team. Others who are presently in camp include Kenneth Omeruo, Jamilu Collins, Chidozie Awaziem, Ahmed Musa, Oghenekaro Etebo, Francis Uzoho , Ogenyi Onazi and Isaac Success. Odion Ighalo, who played for Changchun Yatai in the Chinese Super League, is yet to join the team but report emerging via allnigeriasoccer claimed the centre-forward has been in the country since 8pm after a 19-hour journey from the Asian country. Russian-based left-back Brian Idowu is the only player who is yet to arrive the country. The Lokomotive Moscow defender is expected to hit the team’s camp tomorrow before their first training session. 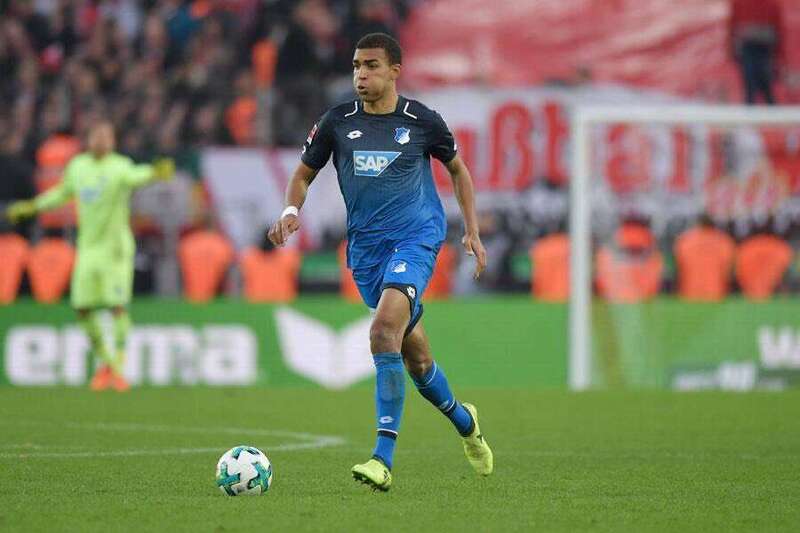 Hoffenheim central defender Kevin Akpoguma has given Nigeria new hope in their chase after the 23-year-old defender. Akpoguma, 23, has featured for Germany youth teams but hasn’t got a breakthrough in his dream to play for the country’s senior team. Despite his top class performances for the Bundesliga throughout last season, Akpoguma was overlooked by Joachim Leow while compiling his World Cup Squad in May. 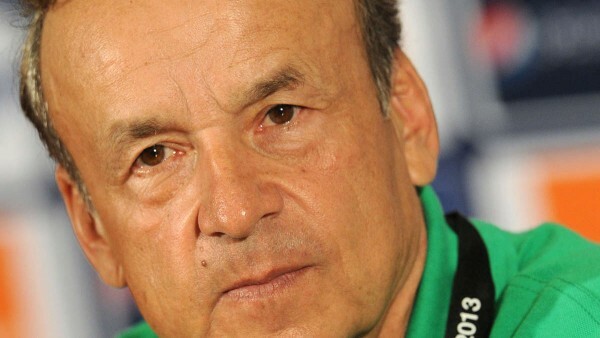 It should be recalled that Super Eagles manager Genort Rohr tried to convince the player to pledge his allegiance to the African country prior to the World Cup but he failed in his ambition. leave every door open” Akpoguma revealed to the media. While speaking to Christian Okpara – a reporter for the Guardian, the 23-year-old revealed he hasn’t shut the door on Nigeria but he is keen on getting Germany call-up. According to him, he grew up in the European country and he wishes to play for the former world Champions if given the opportunity. However, Akpoguma claimed he would consider playing for Nigeria in the future, should he fail to get an invitation from Germany any time soon. ”So, I want to leave it open because Germany can still call me. But if I have no other option to play for Germany, then I can consider playing for Nigeria because my dad is from Nigeria.” he said. Akpoguma was born to a Nigerian father but a German mother, so, he is eligible to play for either of the countries. Who will the highly-rated defender finally play for? that remains unknown and can only be answered as time goes on. World’s football governing body FIFA have released their monthly rankings after the series of games that were played earlier in the month. In Africa, Super Eagles of Nigeria were awesome throughout this month’s international break. They convincingly thrashed Libya in Uyo by four goals without conceding. In the reverse fixture, the Mediterranean knights of Libya gave the West Africans a run for their money as they almost got a point from the encounter no thanks to Ighalo’s late winner that gave the Eagles maximum points. As a result of the two important victories, Nigeria move up four places in the latest rankings. They now occupy the third spot, behind Tunisia and Senegal who are in the first and second position respectively. Both countries — Tunisia and Senegal — alongside Madagascar are the first set of countries to qualify for next year’s AFCON tournament in Cameroon. In the overall ranking, World Cup winner France are now second behind Belgium — who were rampant in the UEFA Nations League fixtures this month. The Didier Deschamps’ men were 2-1 victors over struggling Germany as they continue to build on their World Cup success. As for the Red Devils of Belgium, they are first on the log. They remain in-form throughout October, beating Switzerland 2-1 in the UEFA Nations League. Brazil are in the third position as the Sambar Boys are beginning to return to where they were known to be. After a frustrating outing in Russia this year, the South Americans have picked up their pieces and they currently seem to be a force to reckon with at the World’s stage. Croatia, who were the losing finalists in Russia, are ranked fourth after a series of unwanted results. Since their silver-winning display in Russia, the European powerhouse have put up performances which are far from impressive. Super Eagles lost to South Africa in Uyo last year during the first AFCON 2019 qualifying match, no thanks to injuries to the team’s most reliable and experienced players. It should be recalled that Leon Balogun, who was a rock at the back for the team throughout last year, didn’t turn up for the encounter as result of injury. Mikel Obi, Odion Ighalo were equally omitted from the team due to injury concerns. With less than a month to South Africa’s clash, Super Eagles stars are beginning to pick up injuries and that isn’t good for the three-time African Champions. Galatasaray star Henry Onyekuru is reportedly going to be out of action from one month and two weeks. According to the Turkish giants, the young striker injured his hamstring during the recently concluded international break. He was a late substitute during the Super Eagles double-header against Libya but he couldn’t find the back of the net. As it stands, the Everton loanee is currently with Galatasaray where he would be given proper medical attention. As result of his latest injury, Onyekuru won’t be available for selection when Nigeria travel to South Africa for Group E penultimate match. The Eagles need only a point from the encounter to confirm their participation in next year’s AFCON competition in Cameroon. The Super Eagles of Nigeria recorded a hard-fought 2-3 victory over the Mediterranean knights of Libya last night. Though the West African put two goals past their opponent as early as 17th minute, they failed to hold on to the lead. Libya found their way back into the encounter and they equalized in the 74th minute of the encounter. However, much maligned striker Odion Ighalo restored Eagles lead in the 82nd minute when he found his way past two defenders before finding the back of the net with a low drive shot. The Bordeaux winger was anonymous throughout the minutes he spent on the field last night. During the first leg of the encounter, the former Gent youngster was lively at the left flank but his decision making left so much to be desired. He must learn to play to Rohr’s tactical approach to every game, else, he lost his place in the starting lineup to either Simon Moses or Henry Onyekuru. The Arsenal star featured behind the strikers during the two fixtures against Libya and he performed brilliantly. Over the years, there have been questions on who would replace the team captain Mikel Obi whenever he retires. 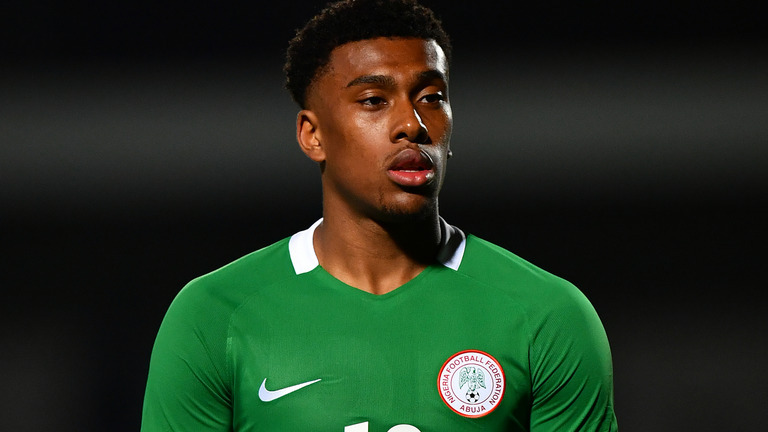 With Iwobi’s defence-splitting pass in the build-up to Ighalo’s tap in, Super Eagles faithfuls are confident the 22-year-old is the man for the playmaker’s job. After Saturday’s 4-0 win over Libya, Rohr confessed that the Paderborn left-back has won him over as result of his fine display. Against the same opponent last night, the Bundesliga 2 defender ensured that his wing was too tight for the Knights to penetrate. Brian Idowu would need to up his game if he must regain his place in the team. Things wasn’t going smoothly for the Eagles but the introduction of the Israeli based midfielder cooled the tension of the game. His physical presence at the middle of the pitch helped the team soaked Libya’s pressure. He equally joined the team while attacking and that produced the decisive moment of the night. He hasn’t been getting the game-time he deserves since Rohr took over from Sunday Oliseh in 2016. Super Eagles striker Odion Ighalo continue to prove his critics wrong as he was on target yet again. The Changchun Yatai’s forward has been largely criticized by the Eagles fans as result of his lackluster display at the Russia 2018 World Cup. Having registered his first hatrick for the Super Eagles on Saturday, all eyes were on him in today’s tension-soaked encounter. 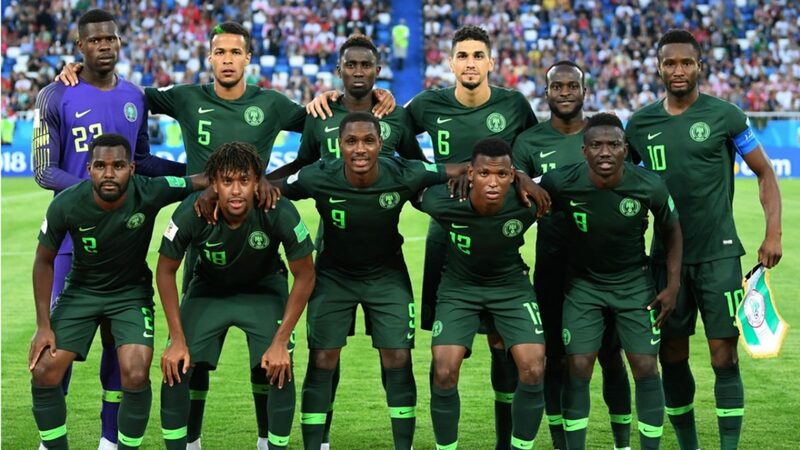 The Super Eagles started brilliantly and their constant attacking moves paid off in the 14th minute when Odion Ighalo scored a simple tap in, thanks to wonderful pass from Ahmed Musa. The Eagles continue to enjoy large portion of possession but they couldn’t make them count in their favor. . In the 17th minute, ruthless Eagles’ frontline doubled their lead as in-form striker Ahmed Musa found the back of the net. When many thought the game was over, Libya began to trouble their West African opponent and their pressure produced result as Mohamed Zaebiaa nodded home past Francis Uzoho in the 34th minute, no thanks to a shambolic defence from Nigeria’s backline. The opening half of the encounter ended 2-1 in favor of the Super Eagles of Nigeria. 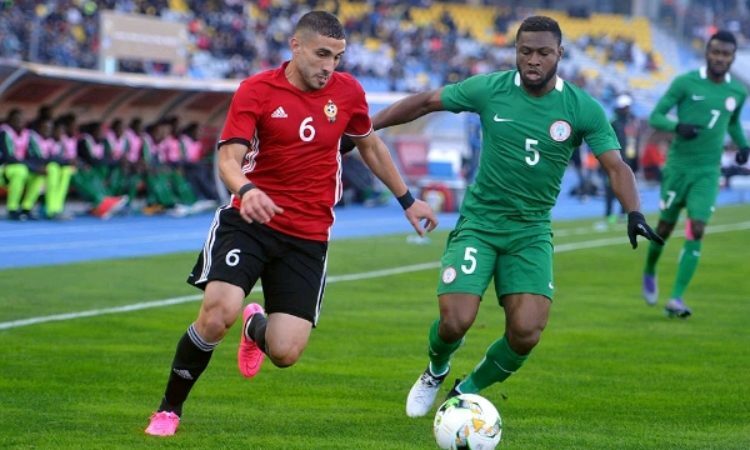 The second half saw a determined Libyan side equalized in the 74th minute after another unimpressive display from Leon Balogun and his fellow defenders. Sand Masaud’s shot was parried by Uzoho but the ball unfortunately fell to Ahmad Ben who made no mistake in scoring the rebound. After series of attacking substitutions from Genort Rohr, the Eagles attack got back to life and they managed to score another fine goal. Man of the moment, Ighalo beautifully controlled the ball before hitting it so hard that Libya’s goalkeeper Ahmed Azzaqeh couldn’t prevent it from sailing into the net. After 90+8 minutes of action, Nigeria were able to make it three wins from four matches at the ongoing AFCON 2019 qualifying series. Rohr’s men now top group E after South Africa’s goalless draw against Seychelles earlier today. Rave of the moment, Eberechi Eze has been on Nigeria’s radar since 2017 but Super Eagles head coach Genort Rohr failed to hand him a call-up to the team. Though it could be said that the playmaker needed some time to develop his game last year, the 20-year-old has maintained a constant goalscoring form since the start of the season and many fans believe he’s ripe for an invitation from the country’s national team handlers. Despite his blistering performance in the Championship this season, Eberechi Eze is constantly overlooked by Rohr while compiling his list of players for the AFCON2019 qualifiers. Sadly for Nigerian football, England youth manager Paul Simpson has handed a debut call-up to the in-form youngster ahead of their friendly matches against Italy and the Czech Republic on the 11 and 15th of October respectively. Ebere, though yet to say a word after his invitation, would be happy for getting his first international call-up since he became a professional player. Having waited so long for Rohr’s invitation, the 20-year-old Londoner won’t think twice before accepting the offer. However, it’s better late than never for the African powerhouse they need to make a last-minute move for the playmaker. Since he’s yet to turn up for the Three Lions, the Super Eagles still stand a chance to lure him to play for his fatherland despite featuring for England’s youth team. It should be recalled that Alex Iwobi, Ola Aina, Victor Moses, Victor Anichebe all featured for England’s under-age teams before switching allegiance to the three-time African Champions.